Up until this point in the awards race, the film that seemed most likely to take the big prize was Ben Affleck’s crowd-pleasing Argo, a film that has almost unanimously been praised by critics and audiences. However, there remained a few films that were still up in the air, with one of the biggest being Tom Hooper’s upcoming adaptation of the musical Les Miserables. The film was finally screened last night in New York and we’re starting to get some reactions as to just how good the film is. If the following reactions are any indication of how it will be received, then it looks like we may very well have an even stronger Best Picture nominee than Argo. Kris Tapley: Feels like 10 nods for Lincoln and 12 for Les Miserables. Holy moly. Something’s gotta give. Dave Karger: First #LesMiserables screening went over extremely well. I’d call it a sure thing Picture nominee for Oscar and the probable Globe winner. The Universal release is going to win Best Picture apparently, and hats off to Tom Hooper and the gang if it does. If it’s over, it’s over. I can live with this, and perhaps I’ll celebrate it. The proof is in the pudding. I’ve said it time and time again, but I really can’t wait much longer to see the film. The recent trailer blew me away, making it look like a beautiful and emotional film. 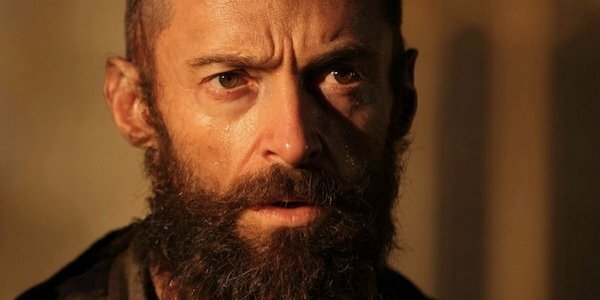 There are obviously more films left that need to be seen this season including The Hobbit: An Unexpected Journey, Django Unchained, and Zero Dark Thirty, but none of them have had as much Best Picture buzz as Les Miserables. Could another Tom Hooper film rule over the Oscars once again after The King’s Speech did the same merely two years ago? It’s starting to sound like that could very well happen. We’ll just have to see how well the film is received as it continues to screen for critics around the country. Les Miserables arrives in theaters on December 25th. Does the film look like a Best Picture contender to you? Do you think it will have what it takes to stand up to Argo, Lincoln, and the rest? Let us know in the comments!